Star Ace Toys has opened up pre-orders for their new Batman Ninja 1/6 Scale Figures. The new figure is based on the last years Batman Ninja animated movie. In the movie Batman, along with numerous allies and enemies, get sent back to feudal Japan thanks to Gorilla Grodd’s time displacement equipment. Batman must rely on Catwoman and the extended Bat-family to put a stop to The Joker and find a way back to modern day Gotham City. 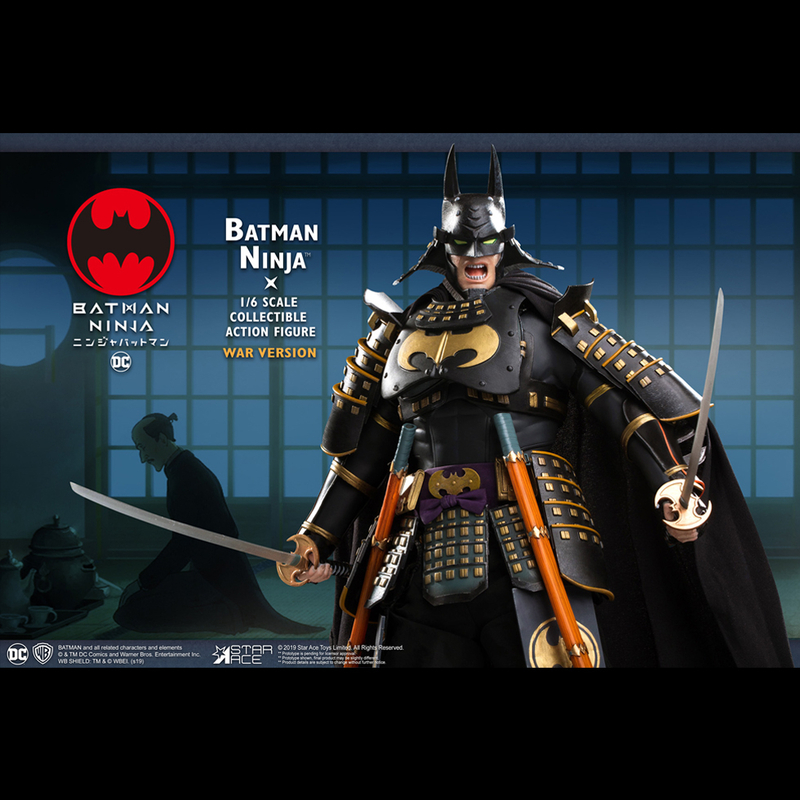 The Batman Ninja Figure will be available in two versions; a standard Ninja Version and a deluxe War Version. The Ninja Version will &#187; Continue Reading. The post Batman Ninja 1/6 Scale Figure by Star Ace Toys appeared first on The Toyark - News.